Why use LinkedIn in your b2b marketing mix? 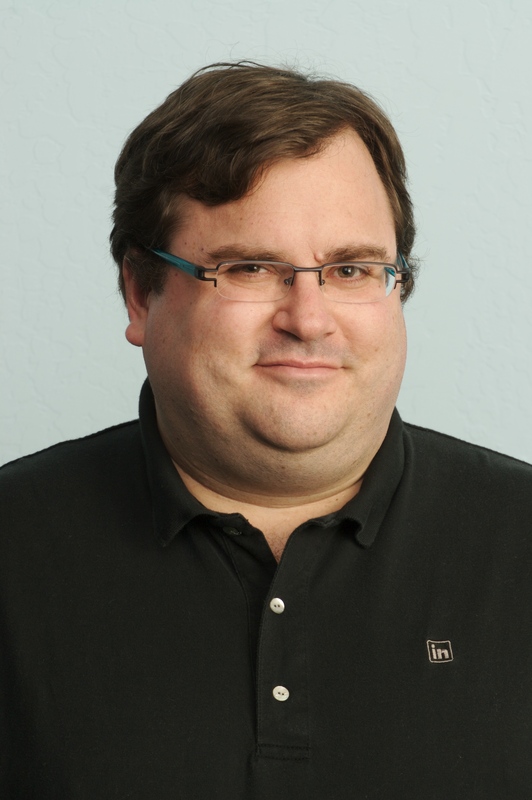 Since its beginnings in the living room of co-founder Reid Hoffman (pictured below) in 2002, LinkedIn has become the world’s largest professional network on the Internet. It has more than 100 million members spread across more than 200 countries and territories, with more than five million members in the UK. Despite the meteoric rise of rival social networking sites Twitter and Facebook, LinkedIn remains the world’s most prominent business networking website. You need to make LinkedIn a part of your social media management plans if you are setting out your social media stall in a b2b market. Clearly, these are a mix of personal and corporate benefits, but if you are the owner or manager of a small or medium sized company, the personal and the corporate are often the same. Around one million new members join LinkedIn every week. But while many professionals have a personal profile on LinkedIn, not everyone is making the best use of LinkedIn for their organisation. The site’s company pages feature offers SMEs a forum for brand exposure and networking opportunities. The first step in using LinkedIn to promote your business is to set up a company page. Very simply, a company page does the same thing for your organisation as your personal page does for you: it gives you the opportunity to educate the LinkedIn community about what you can do for them. Overview - This is a concise summary of what your company provides to its customers. Products and Services - A very important feature - not only can you give specific information about what you do - you can highlight your best products and services. Try to show how people have used the products and services, rather than just describing what they are. Analytics - As the administrator of your company’s page, you can access data about how your ‘followers’ are choosing to interact with your page. You can then use these results to keep improving the page. Careers - Your company page can act as a recruitment tool, if you so desire. When you’ve set up a company page, invite all of your personal contacts to follow it, and encourage them to invite their contacts too. Remember to keep your company page updated with interesting information, and encourage all of your followers to give you their honest feedback. What have you done with LinkedIn? Have you got an tips for folks setting up a company page on LinkedIn for the first time?